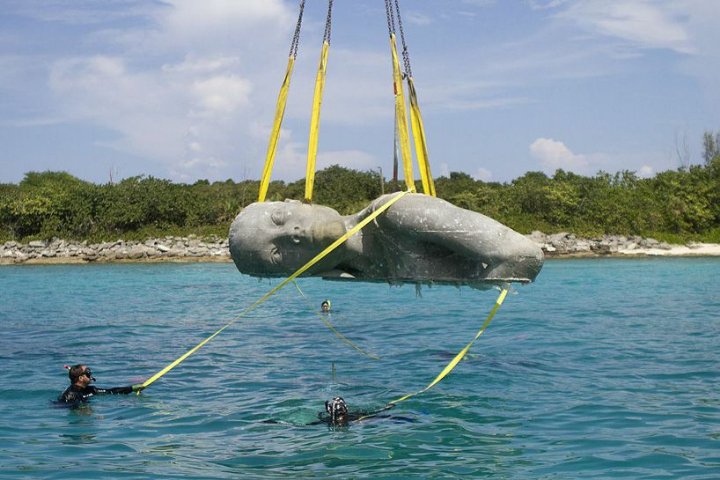 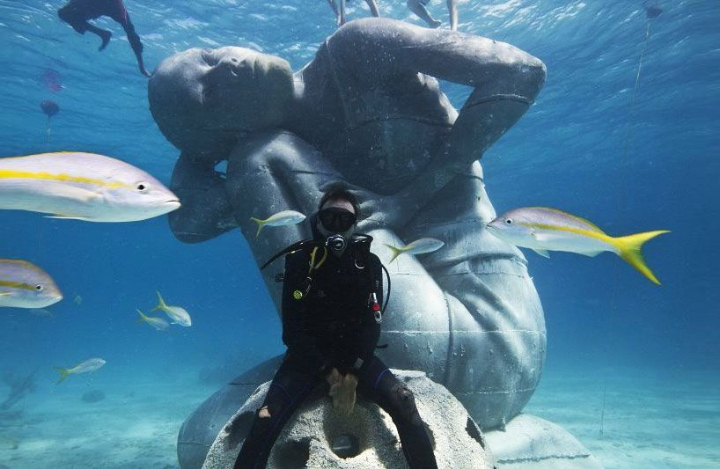 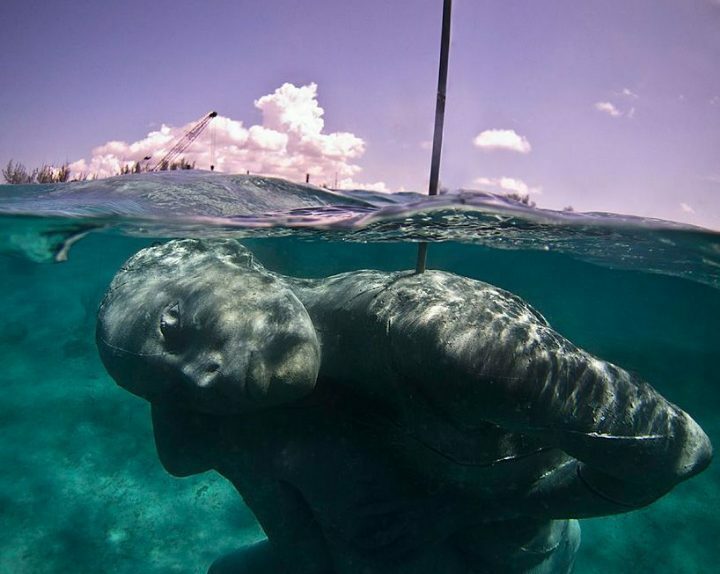 The artist Jason de Caires Taylor He has placed his work called 'Ocean Atlas' in the depths of the seas Nassau, submerged in the west coast of New Providence in the Bahamas. 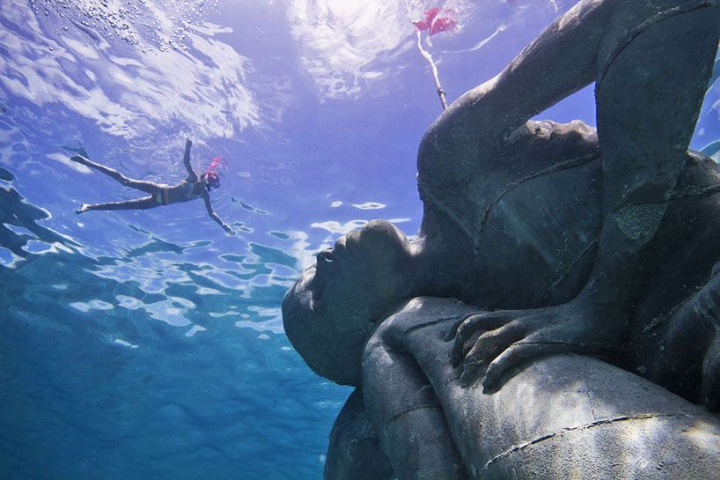 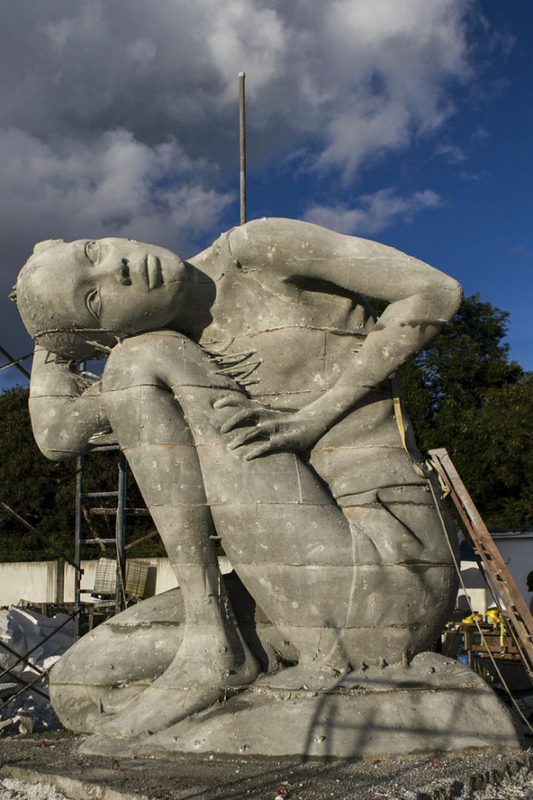 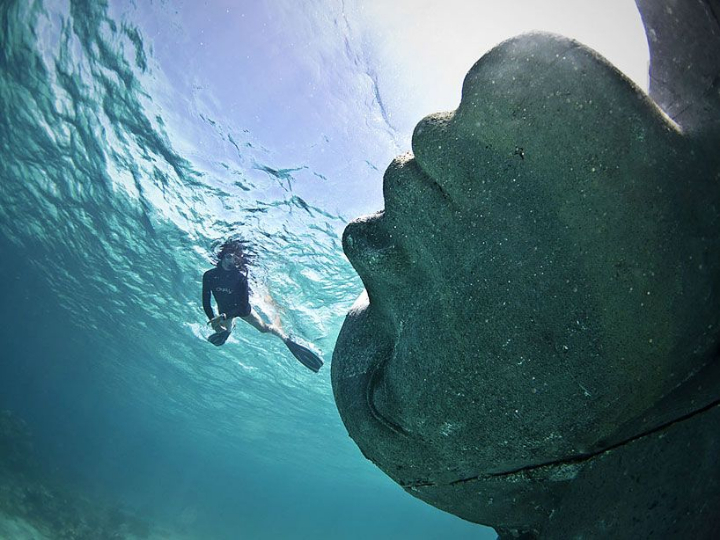 As a subject, the colossal sculpture refers to the ancient Greek statue of Atlas, but according to the artist depicts a local young man who claims the ocean, the work is the largest ever built underwater sculpture is well 5 meters high. 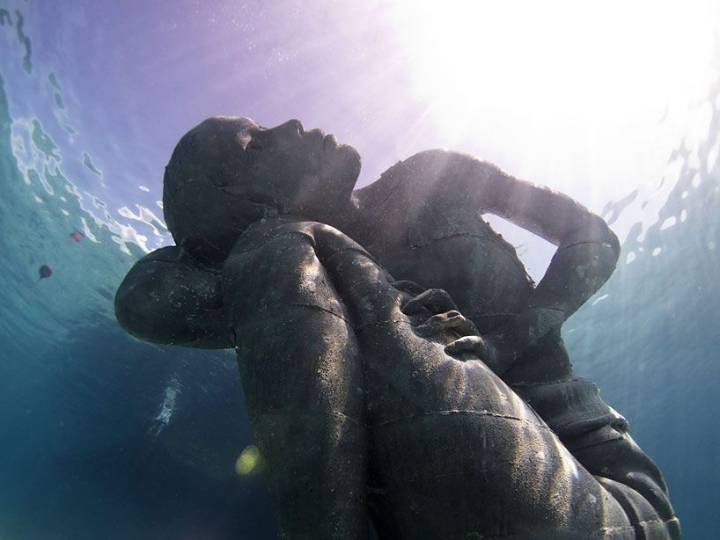 The work was commissioned by the Bahamas reef that deals with environmental education, with the aim of creating an underwater sculpture garden in honor of its founder, Nicholas Nuttall. 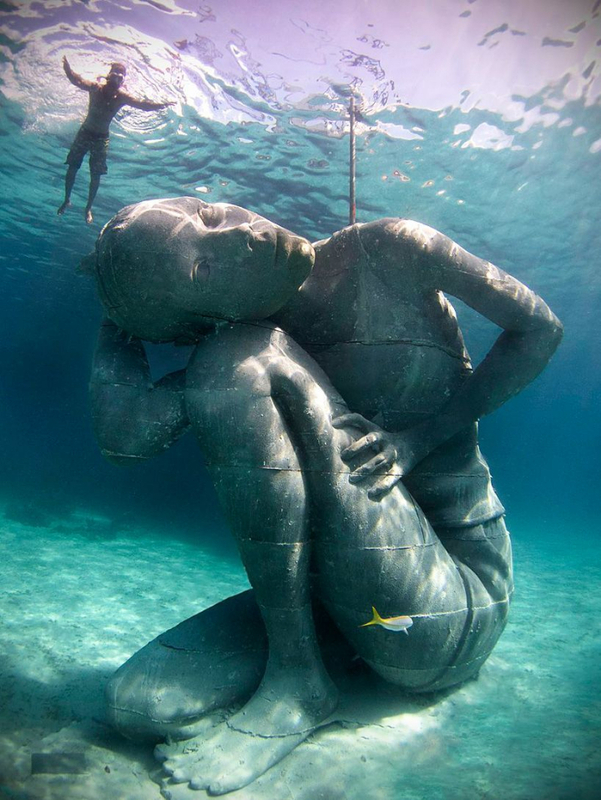 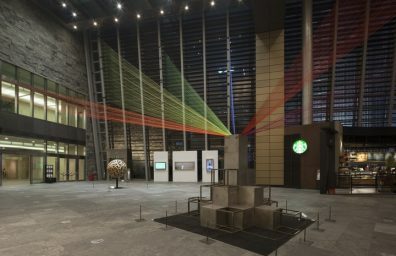 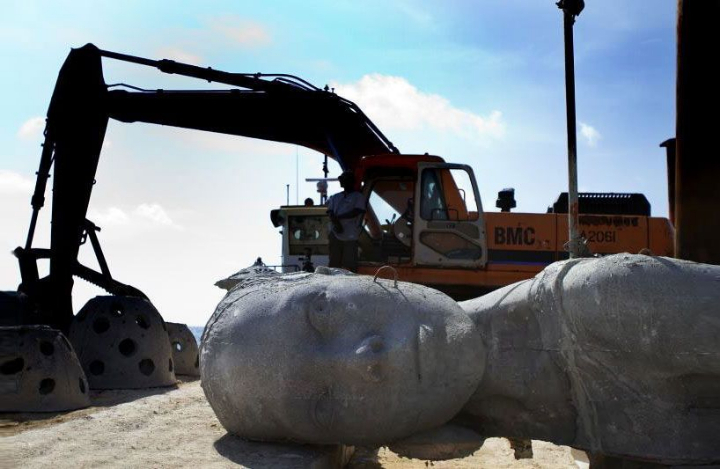 Built with sustainable materials to PH-neutral, this work creates an artificial reef for marine life and a safeguard habitats of the oceans currently on the brink of collapse, threatened by various activities such as overfishing, global warming and pollution water, the statue symbolically embodies the burden we are asking future generations to try to prevent its total collapse.